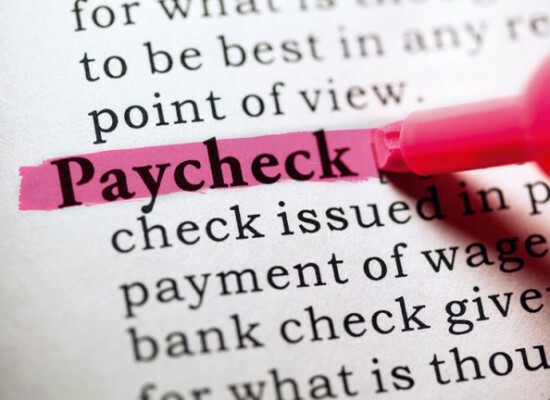 Did you know that the costs of just recruiting one single, managerial-level employee could amount to as much as two months remuneration? To this context, add the costs of hiring someone overseas, processing their work permits, assisting them in relocating to the new country, aiding their acclimatization to the new culture and organization – and what you have is a pretty comprehensive picture of why it is so important for organizations to select just the ‘right’ candidate for overseas recruitment. This is where it falls to you – the candidate – to convince the organization of your being that one person they are looking for. One way to do this is to put your best foot forward during the job interview – whether that interview is conducted in-person, on the phone, via video conferencing or on the Internet. 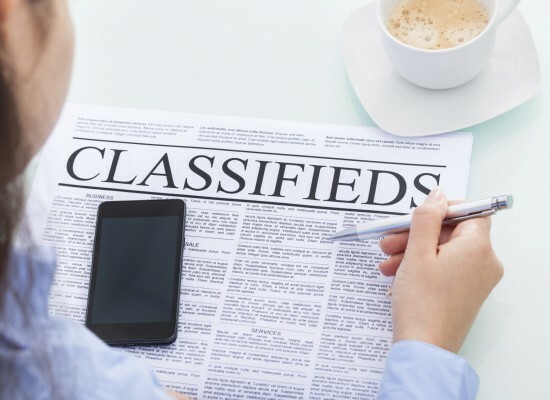 The interview is the turning point in any job search. No amount of groundwork done for the interview is too much. During an interview, the task is not just to convince the organization of your skills and abilities, but to show them that these skills and abilities are a perfect fit for their requirement. You have to demonstrate that you understand and value what they are doing and are interested enough to be willing to live and work in a new, unfamiliar setting. Be honest about your capabilities; it will actually go a long way in helping you find a job that keeps you happy. 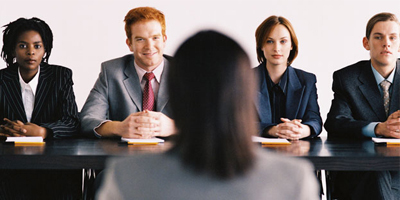 Most large organisations abroad have a standard format for conducting interviews. You will likely face a panel comprising an HR manager, a global/ international manager and a manager from the particular team or department you are applying to. To prepare better, you could ask in advance for details of the panel that would conduct your interview. In the digital age, candidates are assessed right from the moment their name first pops into the recruiter’s inbox. 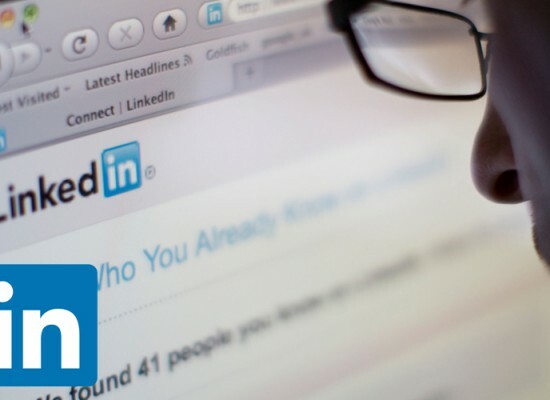 Many companies may check your Facebook, LinkedIn, Twitter and other profiles, and some will even pay an external agency to verify your credentials. This means that you should be prepared to field questions about anything and everything in your bio-data, whether or not you explicitly mentioned it on your resume. For some positions, interviews can last for hours. Second interviews conducted by a new panel, too, are common. In addition to your professional background, most companies will try to get information about your health and family life as well. Candidates who demonstrate a balanced, realistic perspective on living and working overseas and who showcase soft skills such as an ability to work with people from different cultures/ nationalities, are likely to be preferred. As in domestic recruitment, the ability to work well as part of a team is valued highly. 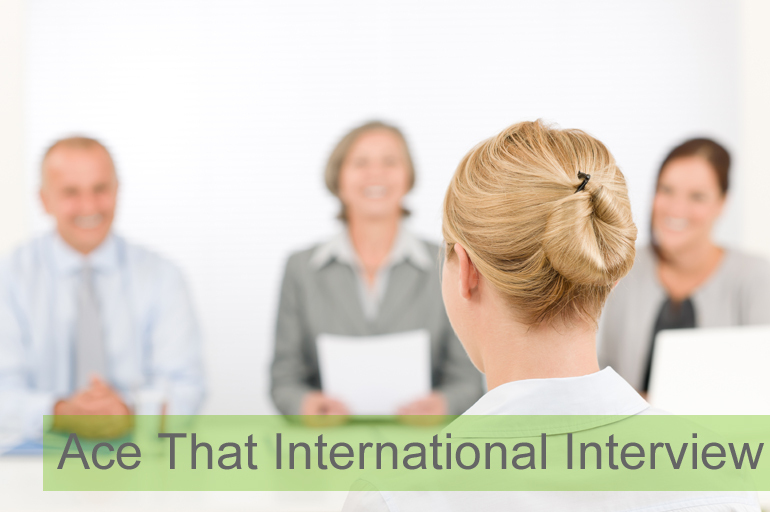 We’ve listed below a few quick tips to prepare you for your international job interview, whether it is conducted online, on the phone, or in person. Follow up the interview with a ‘Thank you’ letter. Employers regard this as an indication of your strong interest in the position. Make sure the interviewer has followed what you have said. Else, repeat yourself slowly and clearly. Multiple interviewers: You cannot make direct eye contact to signal whom you are speaking with. It is therefore important to get the names of the interviewers in advance, and use the names to indicate who you are focusing on, during the interview. So there! Ready to get cracking? Take the first step with our free trial of the Personal Job Hunt Manager where a real person helps you at every stage of your job search process, finds jobs that fit your profile and tailors your CV and applications to the selected jobs. Now, go get that job that awaits you! Teleport Your Job To Abu Dhabi Now! Be realistic: Recognise that you won’t suddenly receive a 40% hike, even if you managed to present a strong case for it. Salary hikes top off at 18-20% so if you get close to that, you’ve done well. Expats working in the UAE, meanwhile, look to their employers to provide medical insurance, a special housing allowance/ company-provided accommodation, school fees for their kids, home-and-back air tickets for self and family, as well as a sizeable annual bonus on their salary. Splendid.Thanks for the world of opportunity made possible.Hope to be on board sooner. Thanks to Teleportmyjob.com for the neatly presented article on Interview and preparations for it. Thank you for information and advice. I am not presently looking for work abroad. Its a good policy to enable people to get job, very good. Thanks for the nice piec of information. i wish to work someday abroad. Good guideline to perform successfully. Well done for the kind of advice and imformation. Yes, it is very usefull for everybody to face an interview. Thanks a lot for advices!